The first time we looked at a Fractal Design case was when we reviewed the R2 at the start of the year, and it excited plenty of interest - 177 comments might just be a record for a case - and since then catching up with the company has been on our to do list. 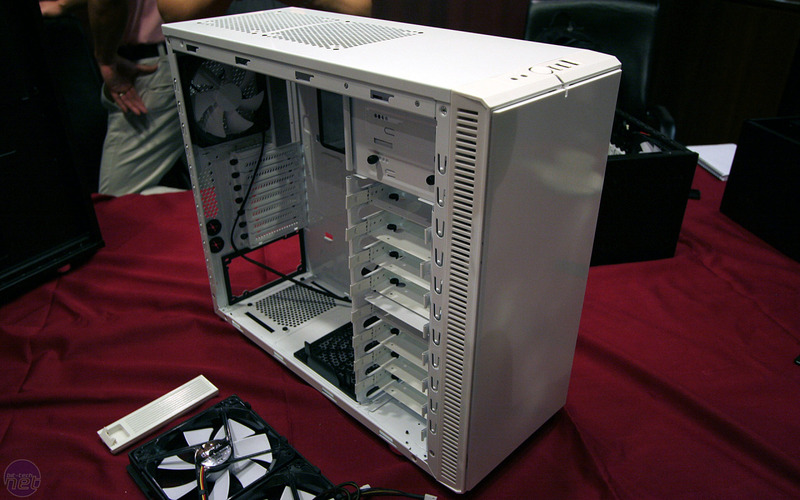 Now the dust from Computex 2010 has settled, we've had a chance to look at Fractal Design's new cases and to see behind the scenes at the company. The Define R2 was a fresh and interesting design, and the R3 looks to improve upon it both in terms of features and aesthetics. The R3 will be available in both black and white. Bear in mind these pictures are of pre-production units. The final white R3 will be an inverse of the black, so the PCI slot covers and hard drive racks will be black in the final product. Mostly the changes to the R3 are subtle - Fractal thinks the design's approach is fundamentally sound, but admits it needs tweaking: there's now a small reset button inside as well as the original R2 didn't have one for instance. Bizarrely, the rubber covers on the motherboard tray have been changed to silicon because some people complained they smelt bad - surely the strangest complaint to have about a case. 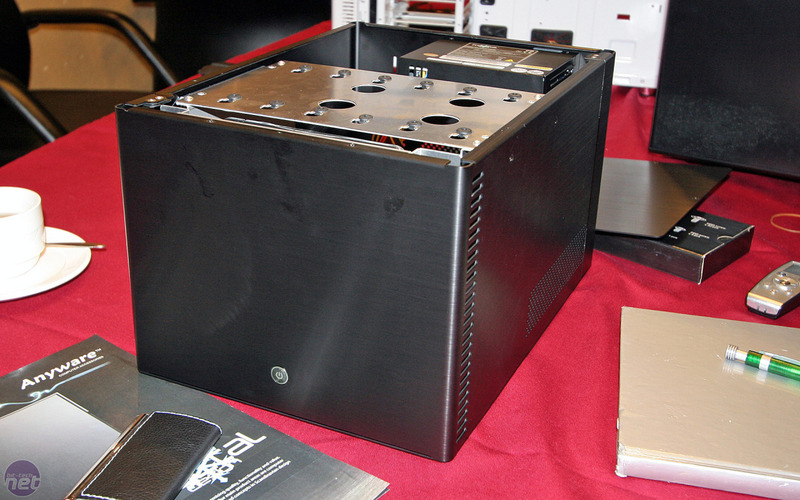 The new Array R2 is designed for a home build NAS box or HTPC, but Fractal omitted the optical drive altogether in here because it felt most users will stream and store content from multiple hard drives, rather than use optical media. The Array R2 might be designed for mini-ITX boards, but its hard drive rack has space for a whopping six disks plus an SSD screwed in underneath! 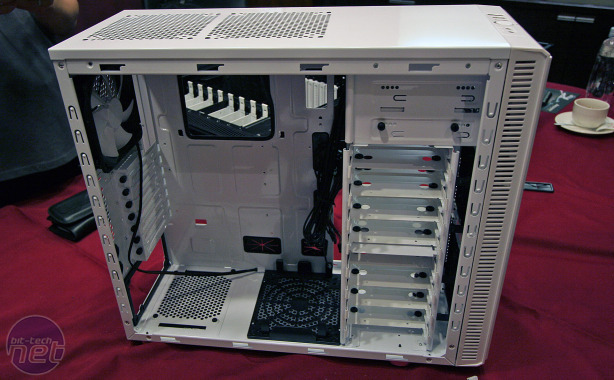 The included SFX power supply is also specifically designed for the case - Fractal claims it's very low noise and has the SATA power connectors spaced out according to the case's internal design. The Array R2 is Lian Li made in aluminium - so it's a quality build with a fantastic brushed aluminium finish, but at 149 euros for case and PSU, it might stretch a few budgets.